The East Coast media do such an amazingly superficial job of covering California politics that it’s no surprise they’re missing the boat on the Bob Filner scandal in San Diego. This is the same bunch that thought the 2003 recall of Gov. Gray Davis was flakey, not an organic outburst of anger over a poorly run state. It’s the same bunch that bought the 2006-07 fantasy that Gov. Arnold Schwarzenegger had discovered a “post-partisan” path to sublime governance. It’s the same bunch that buys the 2013 fantasy that Gov. Jerry Brown is a genius — never mind the high unemployment, the bad schools, the unaddressed budget nightmares, the prisons’ debacle, the bullet train fiasco, etc. “San Diego Mayor Bob Filner is not resigning. He’s made that very clear publicly. “They’ve been able to trivialize and reduce down serious sexual harassment and sexual battery claims as a workplace issue that should be handled internally by the City’s HR department, despite the fact that some of the allegations are not from city employees. “They’ve been able to turn the tables on the alleged victims, nearly daring them to come forward and reveal themselves to public scrutiny. 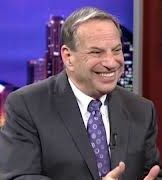 “They’ve been able to swat away calls for Filner to step down by claiming that ‘due process’ is first deserved, an amorphous term which they control and continue to define, because Filner is the one who will let you know whether he has received it or not. I still believe Filner is unlikely to survive. Eventually, a woman will go public with her complaints, and if she is even faintly sympathetic, here comes a cable-TV circus. Filner will come across as a loathsome 70-year-old lecher, a gargoyle masquerading as a public servant. But as Larkin points out, what’s happened so far reflects a mayor who is not stunned and reeling. He’s maneuvering to keep his job, and pretty capably. It’s going to take a knockout to get Filner to quit. So far, his critics haven’t even knocked him down.